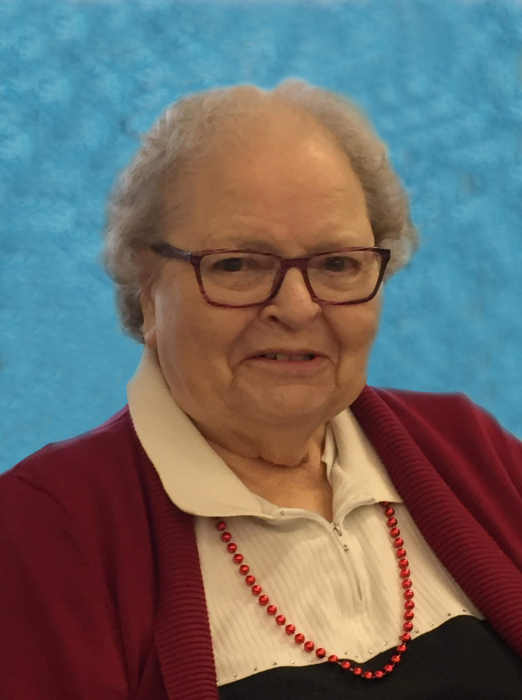 Evelyn Jo Holmes, 87, of Loogootee, Indiana, passed away peacefully, on Monday, April 8, 2019 at Odon, Indiana. She was born on January 7, 1932 in Burns City, Indiana to Rolla V. and Hildred (Waggoner) Garrett. Evelyn became the wife of Don Edwin Holmes on June 29, 1957. Family left behind to cherish her memory includes: two sons, Donnie (Jennifer) Holmes of Burns City and Jerry (Sherrie) Holmes of Odon; step-son, James Holmes of Bloomington; one daughter, Lana (Mike) Boyd of Odon; five grandchildren, Michael, Kelly and Lacey Holmes, Brittany (Craig) Carroll and Katie (Raven) Pulis; step-grandchildren, Nicole (Marc) Andrews, Seth (Melissa) Miller, Lane Miller, Michael (Kadottie) Shrader, Dan (Alex) Shrader and Thomas (Emily) Farris; nine great-grandchildren; one brother, Vaughn Garrett and one sister, Norma Lee Crane. Evelyn was preceded in death by: her parents; her husband, Don Holmes; two brothers, Larry and Kenny Garrett and one sister, Marilyn Rollins. Funeral services are scheduled for 12:00 PM on Saturday, April 13, 2019 at Meng Family Funeral Home in Odon with Brother Richard Smith officiating. Evelyn will be laid to rest in Lowder Cemetery in Springville. Family and friends may call from 10:00 AM until the time of service at 12:00 PM on Saturday at the funeral home. Memorial contributions may be made Ketcham Memorial Center. Envelopes will be available at the funeral home.